I love St. Patrick's Day! Even though it is not a "major" holiday, it's still fun to get into the spirit of the day. 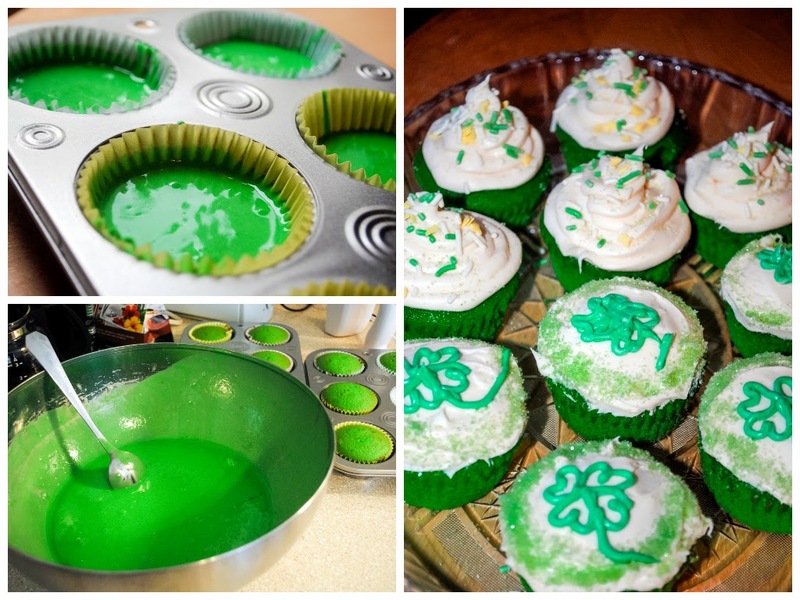 One of my favorite ways to do that is by making lots of yummy food... particularly, lots of yummy St. Patrick's Day desserts! 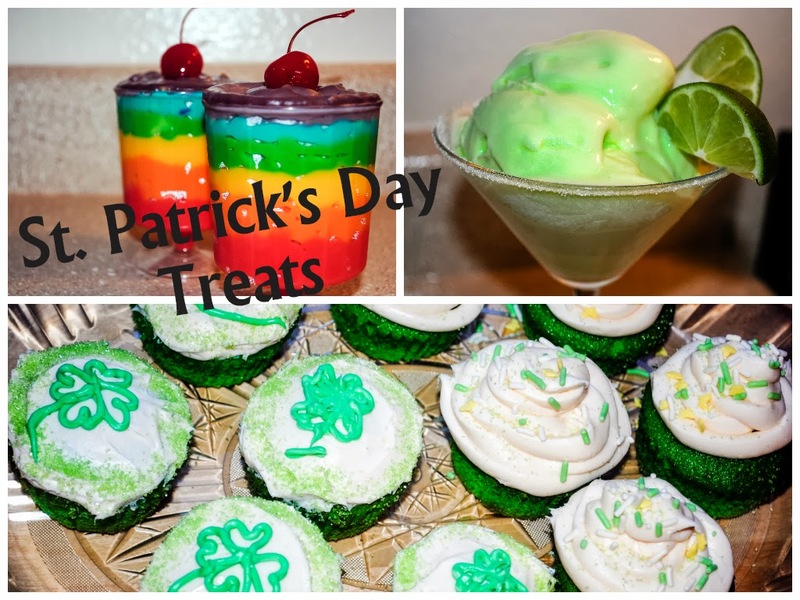 If you remember this post from a couple of years ago, I did all of these treats along with a big dinner for St. Patrick's Day. Along with all of the desserts that Punkin and I made, I made corned beef and cabbage and we had green beer...along with other "green" accompaniments. This post is just for the sweet stuff...and if you have food coloring on hand, all of these will be super easy. 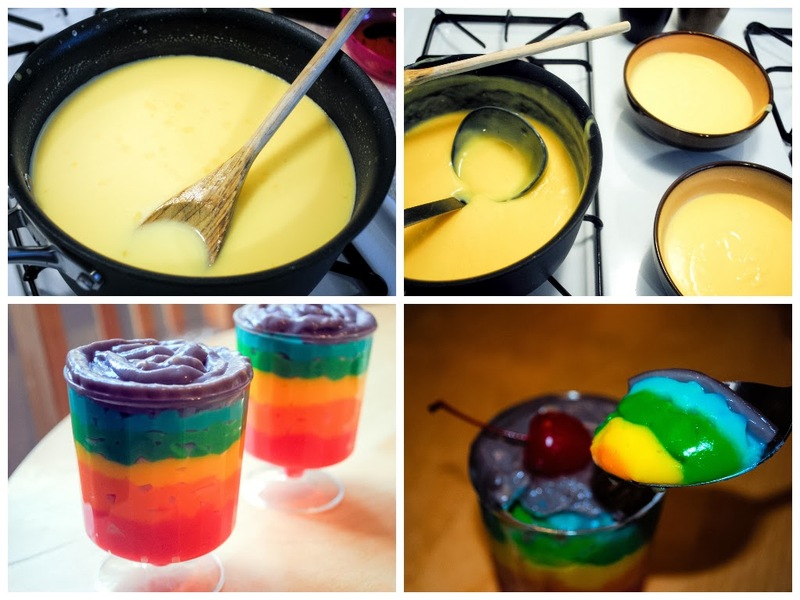 All this is, is vanilla pudding with assorted food coloring. I divided the pudding between bowls, added a few drops of food coloring to each bowl and used a piping bag to layer the different colors. Then had this super cute and easy dessert. Another idea that is really easy. Vanilla flavor cupcake mix with green food coloring added during mixing. I used cream cheese frosting and assorted sprinkles. I added some of the food coloring to a small portion of the frosting so Punkin and I could attempt to make green four-leaf clovers on top. 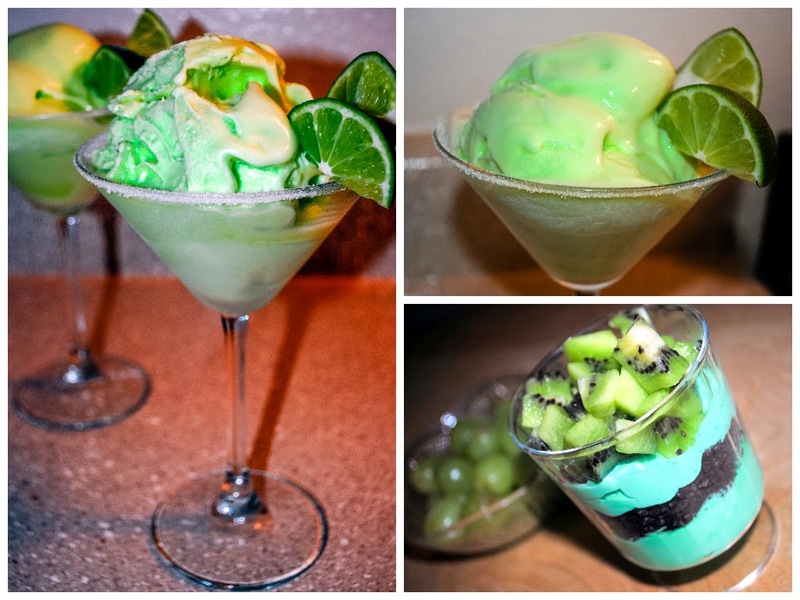 The "Shamrock Martinis" were the easiest to make because I didn't have to do anything! Serve some lime-flavored ice cream in a sugar-rimmed martini glass, garnish with a couple of lime wedges and you're done! Easy and festive! The layered dessert was just something I experimented with, with whatever ingredients I had on hand (as were most of these desserts, lol). I added a bit of green food coloring to some homemade whipped cream. Add just a drop of mint extract and layer with crushed Oreo cookies. I garnished it with fresh chopped kiwi. As you can see, I kept my theme surrounding the color green. 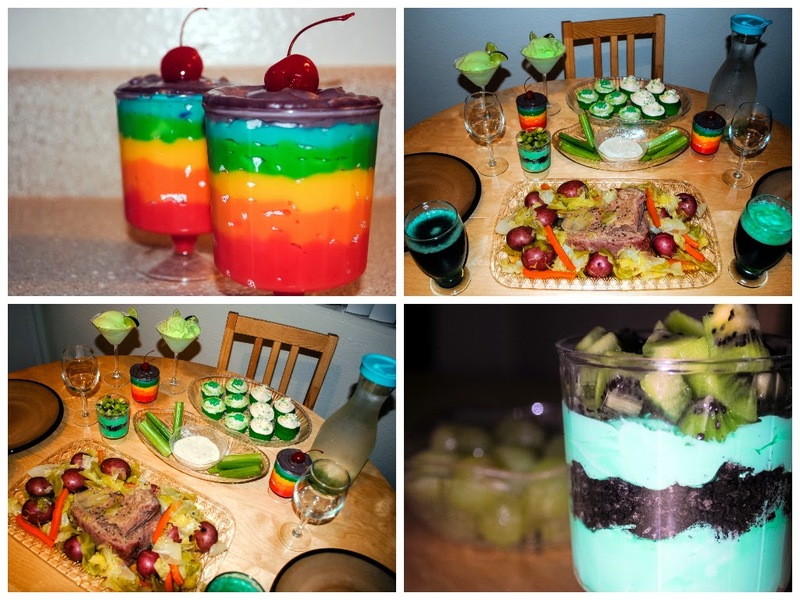 I served celery sticks with ranch, put out green table grapes, had mint, cucumber and kiwi-flavored waters...and the green beer was definitely a neat one! It was a lot of fun and after a long day of helping in the kitchen, Punkin was very excited to dig into all of the desserts! This year, we're getting back into the kitchen so we'll have more desserts to share for next time! You're killing me!! I gave up desserts for Lent! These look amazing!